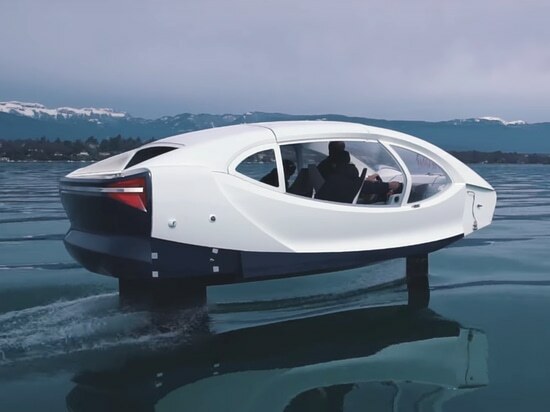 Now being tested in the River Seine in Paris is the all-electric Sea Bubble, a 5 metre hydrofoil craft designed as the water taxi of the future, reports Dag Pike. The designers claim that the craft can operate with zero waves, zero noise and zero emissions. Designed by Alain Thébault, who also designed the record-setting 50-knot-plus Hydroptère, a sailing hydrofoil trimaran, the Sea Bubble is powered by two electrically driven propellers. Power comes from two 10kW electric motors that are attached to the foil system and with two 10kWh batteries it is claimed that the craft can run for about three hours at moderate speeds and then it takes two hours to recharge. It is planned that when the water taxi is in operation the Sea Bubbles will be based at purpose built docks fitted with charging stations. To add to the green credentials, these staging areas will have a mix of solar panels and wind turbines to charge the batteries. Another possibility for the electrical supply is to have water turbines powered by the river current. The Sea Bubble weighs about 1000kg and can carry five passengers. Up to about 7 knots the craft runs in displacement mode and then it rises out of the water onto the foils to give a hull clearance of about 40cms, allowing the Sea Bubble to fly over small waves. The craft has a cruising speed of 12 knots when in the foil borne state and the top speed is 15 knots. The foils are constructed from carbon fibre composites and they are arranged with a single T-foil forward and the main lift foil aft supported by twin struts that also support the electric propulsors. Trim flaps on the foils are used to provide pitch control and roll stability with a fly-by-wire system of control. The passenger cabin is constructed from foam sandwich composites using a high density foam with comfortable seating for the passengers. 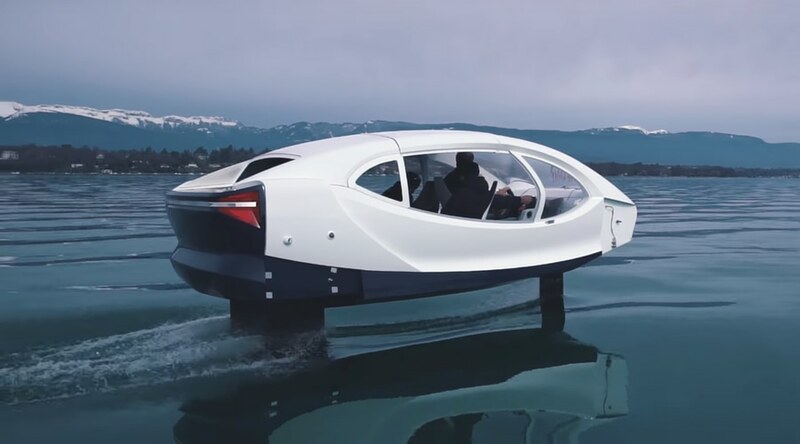 Sea trials with the Sea Bubble have been carried out on Swiss lakes and following these extensive trials is planned to go into production with the Sea Bubble early next year. A prototype would currently cost in the region of €150,000 but this cost is likely to reduce once series production gets underway.